“I have some good news,” Leo announced. He stood before the members of the Elders Council. “Are you saying that Belthazor is not in love with the McNeill witch?” MacKenzie demanded. “This new relationship between Miss McNeill and Mr. Margolin might not last, Leo. Even worse, despite what you say, Belthazor might genuinely be in love with her.” The Elder pinned Leo with an intense stare. “And we are all aware of the ramifications of a possible child between your witch and Belthazor. This child could end up being even more powerful than your son. And we cannot allow for that to happen. So, before those two can ever have a chance to . . . reconcile, I suggest that you do something about Belthazor.” A smile touched the Elder’s lips. “Perhaps Mr. Margolin can help.” The older whitelighter walked away. Leo pressed his fingers against his temple. So much for his good mood. And now he was supposed to find a way to get rid of Cole. Permanently. Just how in the hell, he wondered, was he supposed to accomplish such a task? The black Porsche entered the precinct parking lot and made its way toward an empty space. Cole switched off the convertible’s engine and sighed. He glanced at the dashboard’s clock. It read eleven fifty-four. Just in time for Olivia’s lunch break. He had meant to ask his neighbor out for lunch, yesterday evening. Unfortunately, his encounter with one powerful succubus – along with the self-righteous Paul Margolin – had left Cole exhausted. He had fallen asleep the moment his body hit the bed. Long before Olivia had arrived home. So, here he sat inside his convertible, hoping to surprise Olivia with a lunch date. If all went well, lunch might eventually lead to dinner – and hopefully, something more intimate. After removing his keys from the ignition, Cole climbed out of the convertible. He then stuffed the keys inside his trousers pocket and made his way toward the police station’s entrance. Once inside, an elevator conveyed him to the third floor, where the Investigative Division’s squad room. Cole finally reached his destination . . . and came across a scene that nearly froze his heart. Cole’s gaze remained fixed upon the sight of Olivia and Paul Margolin, staring into each other’s eyes. Smiling. The half-daemon’s expression hardened. “No,” he murmured. “I . . . she’s not here. The person I’m looking for.” He flashed a half-hearted smile, turned on his heels and left. 1. “North and South” (2004) – Sandy Welch adapted this superb version of Elizabeth Gaskell’s novel about a woman from Southern England living in the industrial North. 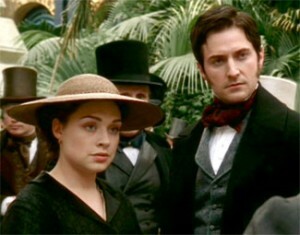 Daniela Danby-Ashe and Richard Armitage star. 2. 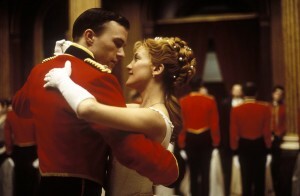 “The Buccaneers” (1995) – Maggie Wadey adapted and Philip Saville directed this excellent adaptation of Edith Wharton’s novel about American heiresses marrying into the British aristocracy. Carla Gugino, Greg Wise, James Frain and Cheri Lunghi star. 3. “Without a Clue” (1988) – Michael Caine and Ben Kingsley are Sherlock Holmes and Dr. John Watson in hilarious look into a premise in which Dr. Watson is the investigating genius and Holmes is a fraud. Thom Eberhardt directed. 4. 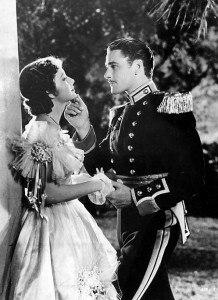 “The Charge of the Light Brigade” (1936) – Errol Flynn, Olivia DeHavilland and Patric Knowles starred in this historically inaccurate, but fascinating look into British India and the Crimean War. Michael Curtiz directed. 5. “Sherlock Holmes: A Game of Shadows” (2011) – Guy Ritchie returned to direct what I believe is a slightly better sequel to his 2009 hit. 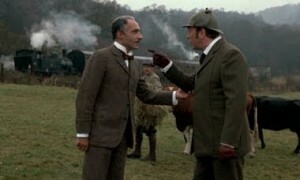 In it, Holmes battles James Moriarty. Robert Downey Jr. and Jude Law star. 6. 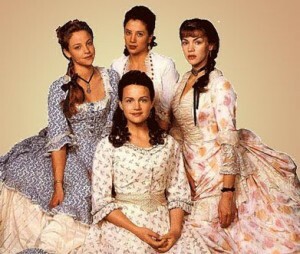 “The Four Feathers” (2002) – Although not considered the best adaptation of A.E.W. Mason’s 1902 novel by many, it is certainly my favorite. Directed by Shekhar Kapur, the movie starred Heath Ledger. 7. “The First Great Train Robbery” (1979) – Michael Crichton wrote and directed this adaptation of his 1975 novel about a group of thieves plotting to steal the Crimean War gold from a moving train. 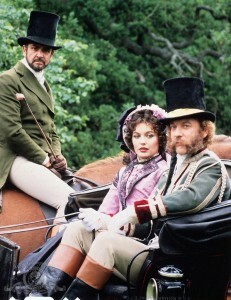 Sean Connery, Donald Sutherland and Lesley Anne Down starred. 8. 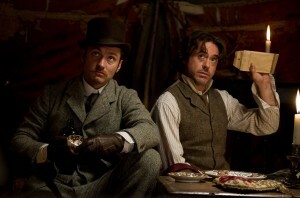 “Sherlock Holmes” (2009) – Robert Downey Jr. and Jude Law portrayed Sherlock Holmes and Dr. Watson in this entertaining and exciting take on the famous literary sleuth. Guy Ritchie directed. 9. 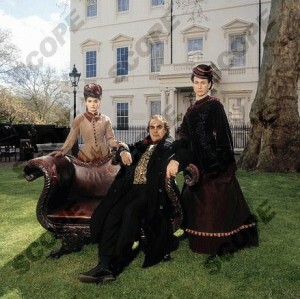 “The Way We Live Now” (2001) – Andrew Davies adapted and David Yates directed this biting adaptation of Anthony Trollope’s novel greed in Victorian England. David Suchet, Shirley Henderson and Matthew MacFadyen starred. 10. “Jane Eyre” (2006) – Sandy Welch adapted this first-rate version of Charlotte Brontë’s novel. Ruth Wilson and Toby Stephens starred. 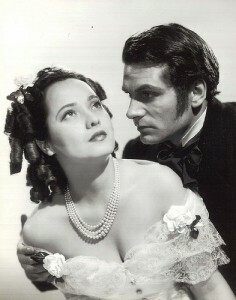 Honorable Mention – “Wuthering Heights” (1939) – I rarely include an “honorable mention” on my FAVORITE lists. But I love William Wyler’s adaptation of Emily Brontë’s novel so much that I had to find a way to include it. Laurence Olivier, Merle Oberon and David Niven starred. Recently, Warner Brothers Studios decided to split its adaptation of J.K. Rowling’s last HARRY POTTER novel, “Harry Potter and the Deathly Hallows” into two movie adaptations. The first was released in the fall of 2010 and the second half, last July. Apparently, they decided to do the same with Stephanie Meyer’s last TWILIGHT novel, “Breaking Dawn”. I discovered that Meyer wrote the novel in three sections. The first section dealt with Bella Swan’s marriage to vampire Edward Cullen and their honeymoon in Brazil. There, she discovers that she is pregnant and that her unborn child’s growth is accelerating at a rapid pace. The second section dealt with shape-shifter Jacob Black’s efforts to save Bella and her unborn child from the Quileute wolf pack, who believe that the child is a monster and poses a threat to the community. The child’s birth nearly kills Bella and leads Jacob to “imprint” (or sense his “soul mate”) upon her. And Edward saves Bella by turning her into a vampire. The final section deals with Bella’s transformation into a vampire, and the Cullens and Jacob’s efforts to save the new baby named Renesmee from the Volturi, who sees her as a threat. Melissa Rosenberg based the screenplay for “BREAKING DAWN, PART I” on the novel’s first two sections. How did I feel about “BREAKING DAWN, PART I”? I might as well be frank. It sucked. There. I said it. All right. There were a few aspects of the movie that I found entertaining. Billy Burke was funny as ever as Bella’s sardonic father, Charlie Swan. However, not all of the humor came from him. I have to admit that the entire sequence featuring Bella and Edward’s wedding struck me as rather funny. Taylor Lautner, as usual, made some sequences of the movie rather bearable. I realize that I am going to be slapped down for this, but his screen presence has grown rather considerably since he first appeared in 2008’s “TWILIGHT”. Both Kristen Stewart and Robert Pattison gave decent performances. But I was really impressed by Lautner. The final action sequence in which the Cullens, Jacob, Leah Clearwater and Seth Clearwater fought to protect Bella and her child from the Quileute wolf pack struck me as pretty exciting. However, the birth of Bella and Edward’s child turned out to be one of the most tense and excruciating birth scenes I have ever seen on film. I never want to experience such a thing again. The only reason I had listed it as a virtue was that I thought it was well shot by director Bill Condon. Despite the virtues I had listed in the previous paragraph, I still believe that “BREAKING DAWN, PART I” sucked. And I cannot decide whether it was the worst or second worst movie in the franchise. The movie had its share of overwrought dialogue and one-dimensional characterization that has marred the franchise since the beginning. Melissa Rosenberg has a lot to answer for. Since the adaptation of this last novel was divided into two films, moviegoers (who were not squeeing fangirls of the franchise) were forced to endure Edward and Bella’s excruciating honeymoon in Brazil. God, what a torment that turned out to be! I realize that the honeymoon sequence was important to the story, considering that it featured Renesmee’s conception and Bella’s discovery of her unusual pregnancy. But was it really necessary to inflict scene after scene of the newly married couple cavorting on a private Brazilian island? There is another aspect of “BREAKING DAWN, PART I” that really disturbs me. Why on earth did Charlie Swan’s closest friend and Jacob’s father, Billy Black, never warned Charlie about Edward’s true identity? Now, I realize that such a revelation would have forced him to tell Charlie the truth about his family and tribe. But one would think that Bella’s safety was more important. He kept his mouth shut when Edward and Bella first dated. And continued to remain mum when the young couple finally married. I hate to say this, but Billy Black’s silence on the identity of the Cullen family continues to astound me to this day. One can only wonder how Charlie will react to Bella’s transformation into a vampire. I wish I could say that I enjoyed “BREAKING DAWN, PART I”, but . . . who am I fooling? I could not care less. I disliked the film. Hell, I dislike the franchise. And no action sequence or tortuous childbirth scene could save this movie for me. But since other members of my family are fans of the franchise, I have one last TWILIGHT movie to endure, later this year. And then it will be all over. Thank God!